Climate change is no longer a conversation confined to scientific circles. For example, last month, Pope Francis made an appeal to more than 1.2 billion Catholics worldwide for low-carbon development. Furthermore, in September, participants at the Cities and Transport International Congress in Rio de Janeiro will discuss strategies for a path forward. Action is happening now. In December of this year, the United Nations Conference on Climate Change (COP21) will set new climate targets for all nations involved, forging an agreement to replace the Kyoto Protocol, which will expire in 2020. Delegates from Brazil will attend the conference and have indicated that they may present their nation’s climate plans. Furthermore, Dilma Rousseff, the president of Brazil, recently announced a bilateral agreement for climate action alongside Barack Obama, aiming for 20 percent of Brazil’s energy to come from renewable sources, the end of illegal deforestation by 2030, and further research collaboration between Brazil and the United States. The path that Brazil has taken in recent years shows extreme promise. Five years ago the country voluntarily committed to reduce emissions by 36.1 – 38.9 percent by 2020. Their efforts, however, go farther back than five years. The overall emissions curve for Brazil has largely been in decline since 2004. In addition, more than half of the overall reduction in carbon emissions over the last 15 years has come from Brazil, thanks in no small part to a slowdown in deforestation. However, the Climate Observatory estimates that the country may not be able to maintain this trend, as the agreement made with President Obama may not accomplish enough. With rising sea levels, warmer temperatures, and continuous deforestation taking its toll, greenhouse gas emissions remain significant. Although the fight against climate change requires further reforms to heavy-emitting sectors as well as anticorruption work, there is a great ally that can help in the broader fight: our cities. Home to over half of the world’s population, cities only occupy 2 percent of global land, but account for 70 percent of all greenhouse gas (GHG) emissions. There is not, however, a blanket solution to this problem. Each city is unique in the way that it approaches reducing its carbon footprint—intuitively the reforms needed in Salvador are entirely different than those required in Rio de Janeiro. Therefore, effecting change requires coordination between municipal managers and citizens. In short, local GHG issues necessitate integrated local solutions. But where do these cities start? According to the Climate Observatory , cities should pay particular attention to emissions coming from energy consumption—where fossil fuels are still predominant in the transport sector. 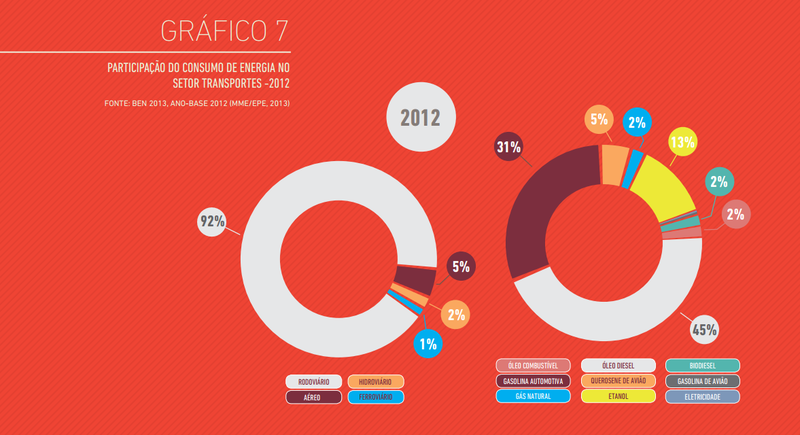 In Brazil, for example, transport accounted for almost half of the emissions coming from their energy matrix. Transport reform means more than just more efficient traffic management; it is also a major opportunity for cities to reduce their emissions. Of course, the process is not unilateral; governments and citizens must work together and be mutually informed for changes to be effective. The strategy “avoid-shift-improve” can be a good start for thinking about this reform process: avoid unnecessary motorized trips; change motorized trips to sustainable ones; and improve public policy to make way for better transport systems. With a diverse set of changes behind them, Brazilian initiatives serve as models for overcoming barriers to promote low-carbon development in transport. In Brasilia, for example, reforms—such as the modernization of their public bus fleet, the implementation of the BRT (Bus Rapid Transit) system, and the reorganization of bus lines—have significantly reduced local pollutants. Analysis by WRI Brazil and EMBARQ Brazil showed that the low-sulfur diesel, Euro5 buses reduced particulate matter by 95 percent, equivalent to 95 tons per year. Because the previous bus fleet was so outdated, this reform proved particularly successful. By fully implementing the BRT system and making lines more efficient, the transport sector could potentially reduce its GHG emissions by up to 55 percent in the future, equivalent to 200,000 tons per year. 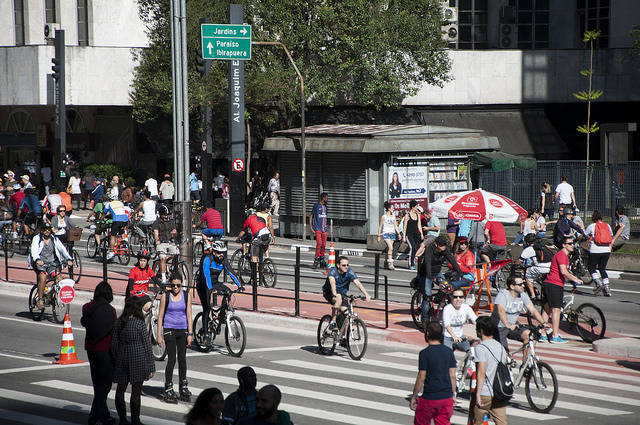 Another Brazilian city at the forefront of transport reform is São Paulo, home to 11.8 million residents. The megalopolis is currently investing in bike paths and bus lanes, with over 479 km of bus lanes and 303.0 km of bike lines completed. These efforts are reshaping the city away from individualized automotive transport to mass, sustainable transport. Finally, to the South, Curitiba is making headway with their new bus system. 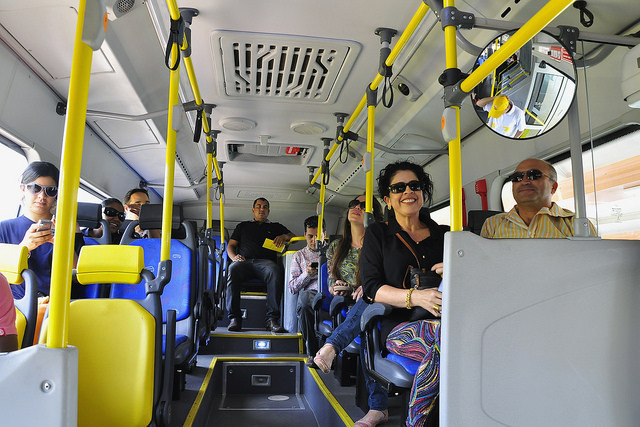 A Urbanização de Curitiba, the company responsible for public transport, reduced 35,341 tons of pollutants from the environment by incrementally renewing their bus fleet –between 2005 and 2014. More efficient fuels, as well as new hybrid vehicles in the fleet are part of the city’s broader sustainability program. With more than 85 percent of their population living in urban areas, the changes in these cities mean healthier lives for a large majority of Brazilian citizens.